Radical Dharma first appeared in the Summer 2016 issue of Buddhadharma Magazine, on newsstands May 19. The special issue titled “Free the Dharma: Race, Power and White Privilege in American Buddhism” couldn’t have come at a more critical moment as the summer before the national elections sets the tone and content the final contenders will focus on. Racial justice, compassion and bridging the false divisions stirred by rhetoric of anger and hatred should be high the agenda of what people, especially buddhist, yoga and spirit-centered communities are talking about. If not, Radical Dharma hopes to contribute. Radical Dharma is a powerful and vulnerable circle held by three Dharma practitioners who are people of color. It is a beautiful and rare invitation to listen to how each transformed their pain. Some of this is familiar…and some of this, for white people, will be new: What does it look like to truly sit with the pain caused by racism in your body? Radical Dharma demands that we step into the circle and ask: How do we restore our humanity? How do we transform ourselves and the world? 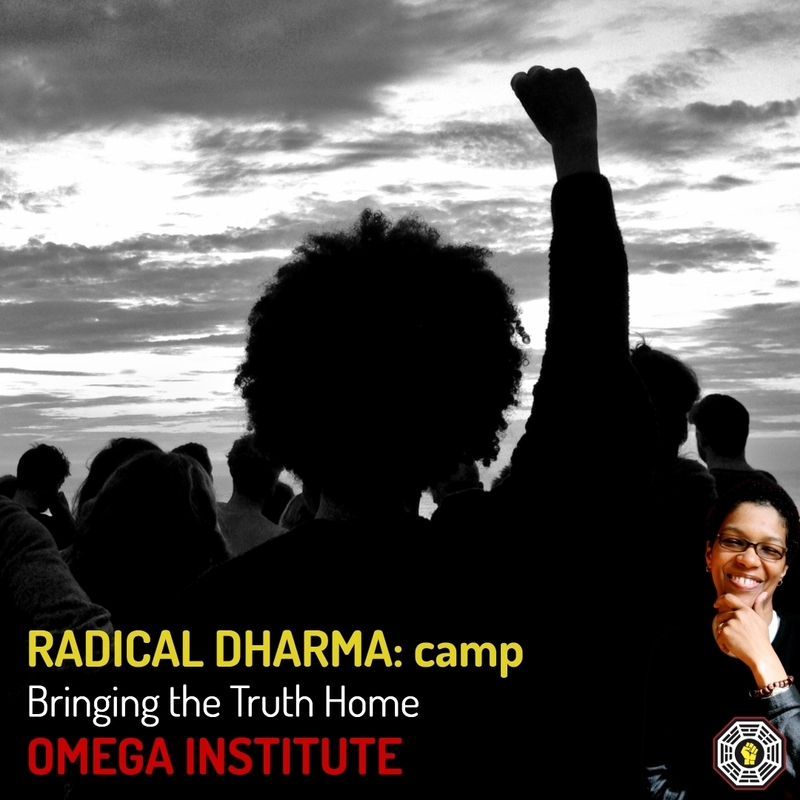 Radical Dharma is about Igniting a long-overdue dialogue about how the legacy of racial injustice and white supremacy plays out in society at large and Buddhist communities in particular, this urgent call to action outlines a new dharma that takes into account the ways that racism and privilege prevent our collective awakening. 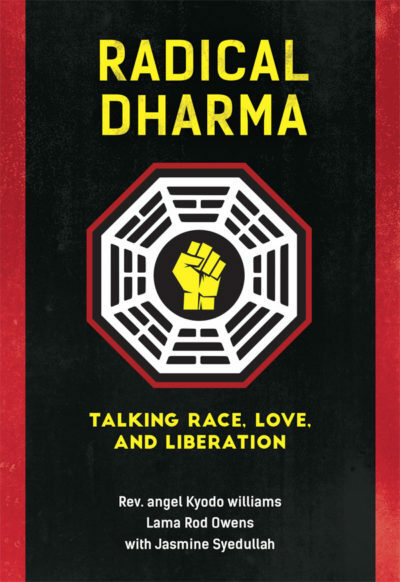 Radical Dharma was born for the awareness of people of color and everyone for putting light on the injustice because of racism. Radical Dharma is a clear, honest testimony of the heart from three leaders of our time. You may not always see things just as they do (I didn’t) or even feel like you fully understand it all (again, I didn’t) but that makes it even more important to read. We are at a critical moment in the history of the nation as well as within the Buddhist teaching and tradition in America. This is the “back of the bus” moment of our time. Fifty years after civil rights laws were laid down, it is clear that these laws were enshrined within a structure that continues to profit from anti-Black racism. The necessary bias that the system requires in order to perpetuate itself has permeated our sanghas, and in this very moment, Buddhists are called upon to put aside business as usual. If you have ever wondered how you would have shown up in the face of the challenge put before white America when Rosa Parks refused to give up her seat, upending the accepted social order, now is when you will find out. Will we actually embody our practice and teachings—or not? It is a clarifying moment about who we are as individuals and who we have been thus far as a collective of people laying claim to the teachings of the Buddha, waving the flag of wisdom and compassion all the while. Radical Dharma is both radical … and courageous. The authors build upon the growing understanding of the connection between personal and societal liberation. Radical Dharma unflinchingly turns this lens to this most challenging and critical nexus of racism and white supremacy…Take the invitation! White folks’ particular reluctance to acknowledge their impact as a collective, while continuing to benefit from the construct of the collective, leaves a wound intact without a dressing. The air needed to breathe through forgiveness is smothered. Healing is suspended for all. Truth is necessary for reconciliation. Will we as Buddhists express the promise of, and commitment to, liberation for all beings, or will we instead continue a hyper-individualized salvation model—the myth of meritocracy—that is also the foundation of this country’s untruth? The work of dharma communities is the same work of the America that wants to live up to its promise of life, liberty, and the pursuit of happiness. It is to kick the habit of racism, cultural dominance, and upholding oppressive systems. More poignantly, our challenge, our responsibility, our deep resounding call is to be at the forefront of this overdue evolutionary thrust forward. Why? Because we chose to position ourselves as the standard-bearers of an ethical high ground. And we have the tools and teachings to do so. This is a book to grow on, to deepen over, to partner with. We are on a magnificent journey of liberation, every moment we are alive in this odd place that has yet to awaken to itself. And we are always, generation to generation, ready to travel. How cool is this? White dharma practitioners who are unable to acknowledge the pain caused by decades of resistance to addressing this misalignment will be exposed—they will no longer be able to use a veneer of dharma as window dressing while milking the benefits of the system. Their veil of mindfulness will be seen through as thin, and their once-wise words, henceforth, will land with a thud. This is a moving and crucial book for anyone interested in the flourishing of the dharma in the West. Read it, sit with it and then get off the cushion and do something radical to make a difference.